Today we bring you a blog post from Paul Rodney Turner, the International Director of Food for Life and the Founder of Food for Life Global, the world’s largest vegan food relief. At the age of 19, Paul left home to live a reclusive life in Sydney’s Blue Mountains as a Vaisnava monk with other spiritual seekers and took a vow of celibacy for 14 years! 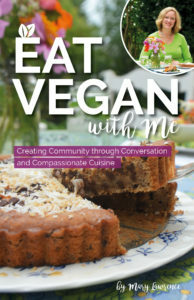 His unique life experience has inspired his writing and given him an interesting perspective on the relationship between food, love, spirituality and life. As a young monk, I learned first-hand just how powerful food is as a communicator. The faces of our guests would literally light up with joy as myself and the other monks served them a delicious vegetarian lunch at the Krishna temple in North Sydney. For some, it was to be their first experience of a “meat-less” Sunday lunch, but nobody seemed to mind once they cast their hungry eyes over the food on their plates. As boldly advertised, the feast really was “out of this world” – two succulent curries, colourful and aromatic basmati rice, cauliflower fritters, tamarind-date chutney, puffed whole-wheat bread, salad, rosewater-scented sweet dumplings and the pièce de résistance – hot strawberry halava smothered in icy cold mango sweet rice pudding! The “Sunday Feast” atmosphere was always thick with anticipation and yet a comforting calmness would engulf us all once the serving began. It seemed that our guests were fully satisfied just viewing the gourmet vegetarian feast. The feasting had started with their eyes! This was no ordinary food – it was prasadam – food that had been prepared with loving intention and then offered to God. It emanated a powerful loving energy that drowned us all. The entire gathering had, for a moment, become one very happy family. True, it was not exactly the healthiest of lunches, but still a great improvement on what most of our guests would normally eat. It was a once a week thing, and boy did they make short work of the monstrous plates we’d serve them! That was over 25 years ago. A lot’s changed since then. I am no longer a monk and I now practice a strict vegan diet, with a majority of my meals being uncooked. However, I still embrace many of the lessons I learned during those 14 years I was a monk, and studying under some of the most accomplished chefs in Australia – one of which is the celebrated “vegetarian guru” Kurma Das, author of four best selling vegetarian cookbooks. Similar experiences would repeat themselves as I traveled the world volunteering for the charity, Food for Life Global, the world’s largest plant-based food relief. During the last 30 years, I have visited over 65 countries, and participated in some of the world’s greatest natural disaster relief efforts, including the 2004 Asian Tsunami. Food for Life Global served hundreds of thousands of freshly cooked vegan curries, rice and dhal at refugee camps set up by the Sri Lankan army. Men, women and children from both sides of the civil conflict lived and ate together during these early days of the relief. Once again, it was food that was uniting them. My focus these days is sharing the important lessons I have leaned through these experiences – one of which is so profound, that it can – I believe – transform your life overnight. Just five words: Spirituality begins with the tongue. The tongue has two functions: tasting and vibrating, so essentially we are talking about two things we do every day, eating and talking. As mundane as they appear, like everything else we do in life, these two activities can be perfected and purified. Therefore, by systematic regulation, the tongue should always be engaged in only tasting the purest of foods and vibrating the purest sounds, of which, according to every spiritual tradition, the holy sound of God’s name is paramount. But let’s first discuss what the India’s yoga manifesto, the Bhagavad–gita says about pure food. The process of achieving a permanent state of spiritual bliss is herein described. It can be attempted even by the poorest of the poor, without any kind of qualification. The only qualification required is a heart filled with pure devotion for the Lord. One’s material circumstances are not important. The process is so simple that a leaf, water or fruit can be offered to the Lord in genuine love and the Lord will be pleased to accept it. Another point of interest from this verse is the allusion to a raw, plant-based diet. There are no other foods mentioned here but a leaf, flower or fruit. Commentators on the Gita, however, assert that Krishna’s declaration suggests all kinds of wholesome vegetarian foods. There is no mention of cooked food, and certainly nothing resembling the remains of dead animals. Rather what is suggested by Krishna is a pure diet of fresh fruits and leafy vegetables in their most pristine form – au naturel – naked, just the way nature intended. In other words, the Gita is unequivocally stating that a raw (uncooked) plant-based diet is the most conducive diet for a yogi. Obviously, a raw plant-based diet is not conducive to all climates and all body types; however, the mounting scientific evidence supporting the benefits of a balanced plant-based diet consisting of whole fruits, vegetables, grains, seeds, and nuts is overwhelming. The other function of the tongue is to vibrate. All humans understand the power of the spoken word. Its sonic energy can be harnessed to inspire, to manifest, to heal and to manipulate the subtle and physical worlds. Both the original Hebrew and Sanskrit alphabets, considered to be given by the gods, state that acts of creation begin in sound. Thus, the Bible states: “In the beginning was Logo [Word],” whereas the Vedas claim that the great Architect, Lord Brahma, was inspired by the Gayatri-mantra to create this material universe. Sound corresponds to ether or sky, the subtlest of the five material elements, which develop progressively from subtle to gross (ether, air, fire, water, earth). Sound is therefore the basis of all creation. An important part of the training within the ancient mystery schools was to control speech, including regulating words and their meanings. Every word we speak makes a thoughtform in the etheric and astral dimensions, and therefore our words and thoughts affect the food we prepare. With this in mind, it is actually not the physical substance of food that has the power to unite, but rather the intention that it carries. Even food that is considered ignorant, like the rotting flesh of an animal or food that has been contaminated by a plethora of artificial ingredients, can still have some power to create unity if only temporarily – if it is infused with loving intention. This is clearly evident during holidays like Christmas and Easter. However, the unifying effects are short lived as any good intention is quickly overwhelmed by the feelings of fear, pain and sadness of the animal that are also present in the meat. For the most lasting and transformative effect, therefore, food needs to be completely free of any negative feelings, including those of the slaughtered animal. The purest food is that food that has been not only prepared with loving intention, but also prayed over. Because food is mostly water (the most powerful conduit of thought energy), all food is in one way or another impacted by how it is grown, handled, packaged, prepared, cooked and served. Every person who interacts with a food on its journey from seedling to your plate intrinsically affects the food’s energetic quality, and subsequently your physical, mental and spiritual health. Each person’s thoughts (psychic energy) add to the palette of conscious thoughts that eventually makes their way into your body. Since eating is one of the two main functions of the tongue, and so central to our survival, it is logically one of the most efficient and effective mediums for initiating change in consciousness. Each of us has had the experience of sitting down to a meal cooked with love and felt an immediate transformation of consciousness followed by a feeling of reciprocal love for the person who prepared the meal. The fact is, when food is prepared with loving intention it can communicate in any language. Such food has the ability to break down barriers and turn anger into love, fear into trust, and ignorance into enlightenment. This is no more evident than in the loving exchange between a mother and child. When you are living consciously, beginning with conscious eating, you will do so in all your thoughts and actions. Your life will be consistent and in harmony with your environment. Food is the most basic necessity of life. Its only purpose is to nourish the body, mind and soul. Food, therefore, should give us life, cleanse our body and uplift our spirit. Eating food should never be just about fueling the physical body. According to all yoga traditions, food that is old, decomposed and consisting of dead flesh will pollute the body and consciousness, while food that is fresh, nutritious and free of any suffering will enrich the body, cleanse the mind and satisfy the soul. The Bhagavad-gita states that all foods can be classified according to their inherent quality and the way they affect our body and mind. Foods characterized by goodness increase the duration of life, purify one’s existence and give strength, health, happiness and satisfaction. Such nourishing foods are sweet, juicy, fattening and palatable. Passionate people like foods that are too bitter, too sour, salty, pungent, dry and hot. Such foods cause pain, distress, and disease. Food cooked more than three hours before being eaten, which is tasteless, stale, putrid, decomposed and unclean, is food liked by unenlightened people. Foods liked by unenlightened people are essentially those foods that are decomposing and impure. As may be guessed, meat and fish are foods belonging to this lower mode and therefore should be avoided if one truly desires enlightenment and the most sacred connection to the natural world. Eating can also be a form of yoga, and this is supported by the very tradition that yoga was born. The term “yoga” comes from the Sanskrit root, Yuj, which literally means, “to join.” In the spiritual sense, it is the process by which the relationship of the individual soul with the Supreme Soul is realized by the Yogi. Unfortunately, too many yogis in the West miss this point and thus they do not enjoy the full benefits of what yoga offers. What most people understand as yoga practice is really just the beginning stages of yoga. Yoga is a life long journey of reconnecting with God. Because food is so fundamental to our existence, the offering of food has been an integral part of every spiritual tradition since the beginning of recorded history. Food yoga, therefore, is the art and science of bringing our body, mind and soul into oneness, honoring the spiritual equality of all beings and reconnecting with our divine source. It is about focusing on the more divine aspects of eating, beginning with an acknowledgement of a benevolent presence in our lives and evolving to appreciating that presence through the offering of pure food, much the same as when you honor a friend in your home. Giving food is the most fundamental act of kindness a human can do, and eating food is one of the few things all humans have in common. All the world’s great spiritual traditions have elaborate food offering rituals carefully designed to expand consciousness. From the Holy Eucharist to Passover to Diwali, Christmas, Thanksgiving, and even the mushroom ceremonies of the Shamanic traditions – all use food as a means to represent or please the Divine and to expand the consciousness of their followers. The path of food yoga is about reconnecting with your food in such a way that it nourishes your body, mind and soul. This is I believe is a major flaw in most lifestyle or nutrition programs being espoused today. My background as a monk and my volunteer work for Food for Life Global, have taught me just how powerful food is as a uniter and healer of our body, mind and soul. In fact, the mission for the charity is not to feed hungry people, but rather, to unite the world through pure food. 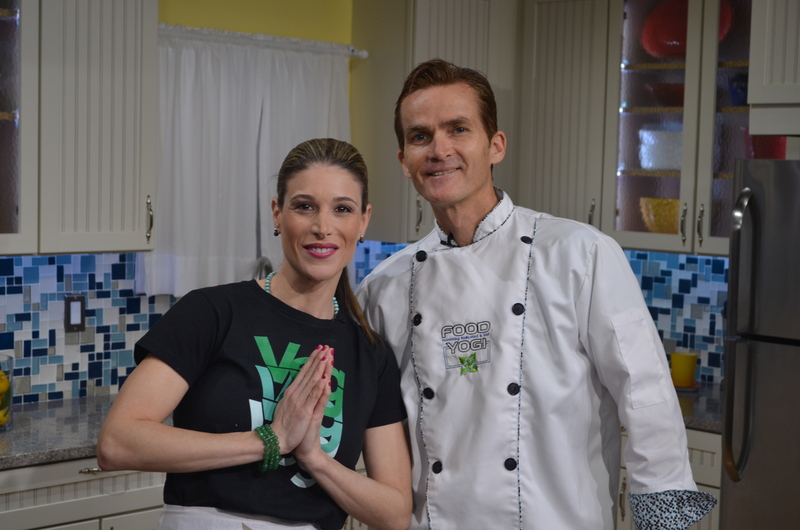 A food yogi is one who lives a balanced and conscientious life fueled by the uniting power of pure foods that have been prepared with loving intention. ART: An individuals creative expression of love and devotion using food as the medium. SCIENCE: An appreciation for the beauty and interconnectedness of all things, coupled with an unceasing awareness of the Energetic Source from which all things emanate. A food yogi considers the physical laws of good food combining as well as the more subtle laws of intention while preparing the meal. In essence, food yoga is a discipline that embraces all spiritual paths by accepting one core truth – that food in its most pure form is divine and therefore an excellent medium for spiritual purification. Sanskrit: Consisting of two words, man (mind); tra (to deliver). Homeopathy is an example of how water continues to carry the energetic signature of a foreign substance long after it has been removed. Bhagavad-gita is a Vedantic scripture comprising the instructions given by Sri Krishna to Arjuna during the Kurukshetra War. It appears as part of the Mahabharata. Bhagavad-gita As It Is (17.8) edited for clarity. Bhagavad-gita As It Is (17.9) edited for clarity. Bhagavad-gita As It Is (17.10) edited for clarity. 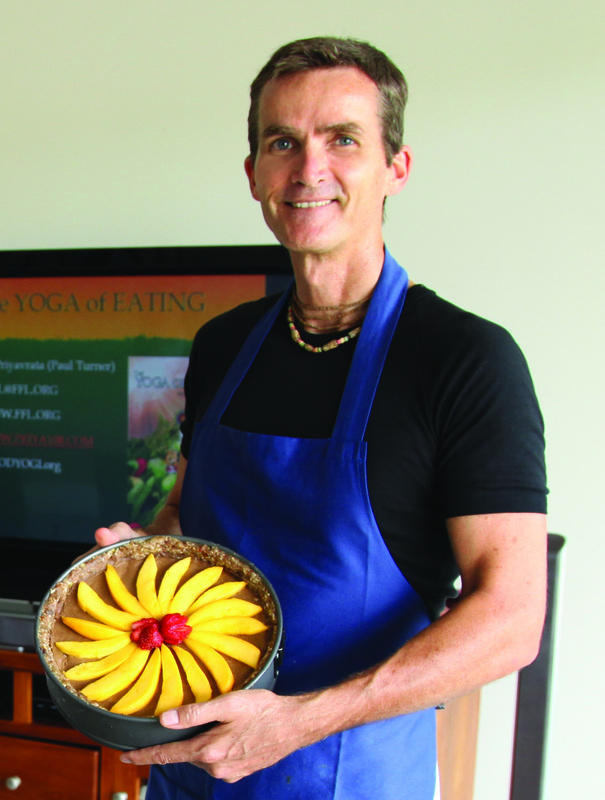 Paul Rodney Turner, also known as Priyavrata das, a name given to him by his spiritual teachers, is the International Director of Food for Life and the Founder of Food for Life Global, the world largest vegan food relief. He is also a numerologist, poet, sacred geometrician, billiards instructor, author of 5 books and an accomplished raw and vegan chef. Excellent post, David. By and large, employers no longer ascribe significant value to pure technical communication. So it’s vital that we technical communicators view our work within a larger context, which I’d descrbe as adding value by optimizing the organization’s information assets. In short, content strategy.I daresay that if we — information architects, user experience designers, technical communicators — don’t hang together, we shall all hang separately. Thanks for your efforts to help bring us together under one umbrella. 136Desculpe-me mais os blogs que vc indicou e gostou sÃƒÂ£o os mesmo nÃƒÂ£o vi nenhum blog que nÃƒÂ£o seja conhecido, assim ÃƒÂ© facil, indicar sÃƒÂ³ blogs da panela….No e-mail que pediu sugestÃƒÂµes tinham vÃƒÂ¡rios legais e que vc nÃƒÂ£o citou. Appreciation for this website. Thats all I will say. You most positively have formulated this website into something thats eye gap and necessary. You clearly grasp most with regards to the topic, youve lined lots of bases. nice stuff using this a part of the net. Again, many thanks this site. Terrific article nonetheless , I was wondering in the event you could generate a litte additional on this matter? I might be quite thankful in case you could elaborate just a little bit a lot more. Thanks!